Residents driving past Pembroke Park recently would have seen that around the Pembroke Park sports ovals, have taken on the appearance of a caravan park / camping ground, especially near the change rooms. This is a Blaze Aid camp for volunteers who are now based at Pembroke Park, using the change room toilets and showers and the Sorell Football Club as their base. 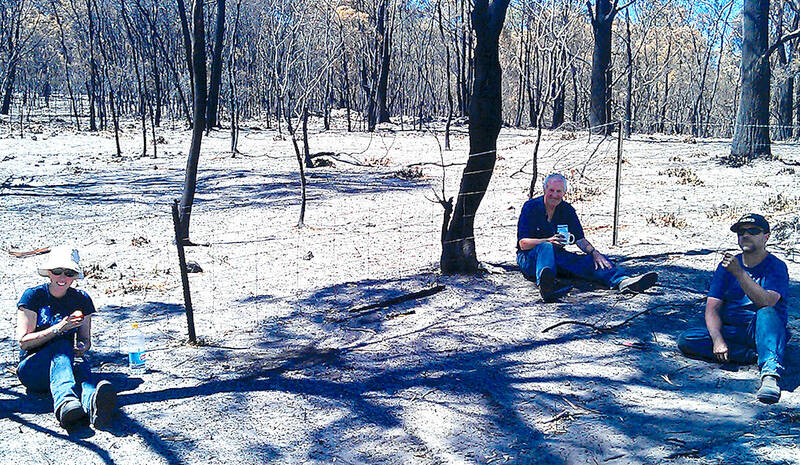 Blaze Aid is a volunteer farm fencing group, which started in Victoria in 2009, after the bush fires there. After a fire goes through a farm, stock can wander anywhere, including onto roads. It is a major problem for farmers, as there are not many people who fence for a living and it could be months before fencing would be done. The Blaze Aid group continued on after the Victorian bush fires, helping many other communities after fires and also floods in other states and they have now come over to help us.